In principle, as Larry Cox observed earlier on openGlobalRights, rights and religions converge on a “shared belief in what the Universal Declaration of Human Rights calls ‘the inherent dignity’ of ‘all members of the human family’.” But the reality is that states align with orthodoxy for reasons of expediency, as both Roy and openGlobalRights author Nida Kirmani note. Secular and religious activists alike can be so selective in their empathy over rights violations that one must often ask whether the “human” element is even at play. Aung San Suu Kyi won acclaim for standing up to the regime in Burma/Myanmar — yet her silence on the horrendous persecution of the country’s Rohingya Muslim minority is deafening. Western churches voice a litany of complaints on behalf of co-religionists — such as the Nigerian Christian victims of Boko Haram, whose targets routinely include Muslims. Yet not a peep is sounded when Christian militias do likewise to Muslims next door in the Central African Republic. 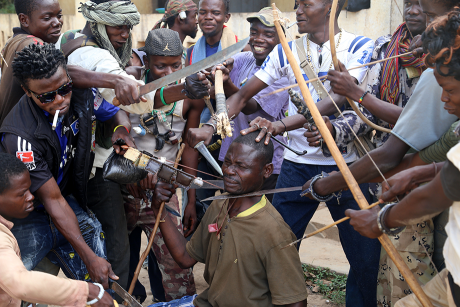 Anti-balaka militia in Central African Republic have driven most of the country's Muslim population from their homes. Some show off their brutal methods and the weapons they use, with one of their group posing as victim. There is no rule of law here now, so these men do as they please. Toby Woodbridge/Demotix. All rights reserved. An interesting twist is the unconditional support of American evangelical churches for Israel, against Christian Palestinians whose plight in Jerusalem is perhaps more conspicuous (at least in western media) than the dispossession of the Muslim majority. No better is the selectivity in foreign policy choices on human rights and religious freedom, with a pattern of western support for repressive regimes that preside over strategic assets or espouse convenient ideologies. From the Cold War-era to this day, the list includes South Africa under apartheid, Pinochet’s Chile, Rios Montt’s Guatemala, Saddam Hussein’s Iraq, Saudi Arabia, and Bahrain. In short, the states that championed the Universal Declaration and the ensuing rights regime enjoy little credibility as its global promoters. Civil society actors have significantly more legitimacy, though a fraction of the power that states can exercise. They also tend to be particular rather than universal in what they choose to champion — from gay rights and gender equity to opposing Female Genital Mutilation (FGM), torture and the death penalty. What does all this imply in practical terms today? What civil society and state actors have come to agree on is that legalizing rights, at home and abroad, gives them potency. It’s a hard-won conviction about responding effectively to human vulnerability. Jack Snyder in openGlobalRights casts it in terms of the “liberalism and individualistic legalism” as doctrines of western modernity. 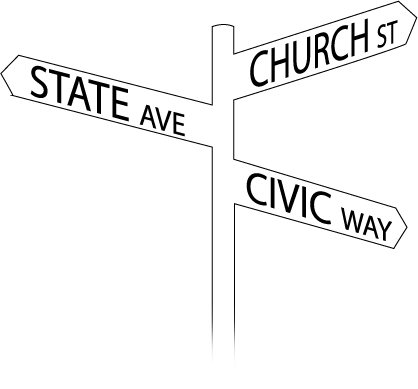 Taking rights seriously is also about moral suasion beyond individual interest; without cogent ties to a sense of justice, even virtue, human rights are no different from rules about traffic or real estate. This is where religions can deliver powerful assets — or liabilities — in their inherent appeal to what is simply right, albeit with varying degrees of inclusivity. It is also where the western modernist turn, with its individualist brand of liberal secularism, is a decidedly mixed blessing. A cursory glance at the daily news will confirm that the “illiberal, communal, and exclusionary” elements that Snyder attributes to the traditionalist religions of the global South are fully alive in the North. This is because the liberal individualist model, for all its legal bite, can only whimper on ethical solidarity. Indeed, the ongoing debate on alternative modernities to the dominant western brand is not about the South alone. It is also about what is left out by the dominant brand in treating the particular western encounter with religion as somehow giving us a global recipe for a rational and humane secular modernity. Charles Taylor’s landmark A Secular Age offers a sobering critique, and should inspire humility among those who think it’s a matter of time before the benighted South sees the Northern light. Meanwhile at the political level, the aftermath of the War on Terror, that has been marked by the gravest of abuses by western governments across the panoply of human rights, defies hubris about legalization as a panacea in securing individual and communal freedoms. If the Inquisition was a milestone in the narrative of challenging the legitimacy of the Church’s legal-political powers, the same moment may be on the horizon for the modern State. 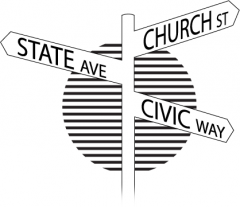 A symbiosis of civic, state and religious actors — with healthy mutual skepticism — affords the best prospect for advancing human rights. This is not only for strategic but also substantive reasons: the ethical resources for effective suasion do not reside in a single place, but are abundant in faith traditions. The historical trajectory of human rights is enmeshed with religion, and there is nothing rational about the modern secularist rupture. A transnational movement of human rights is of recent vintage and dominated by secular actors; but the idea of entitlements due to humans as such, and of solidarity in their pursuit, has ethical foundations that stretch far beyond the reach of western modernity. None of this makes life easy. Religiously-centred approaches prize civic and kinship networks in advancing rights, as openGlobalRights authors Aminu-Kano, Ali, and Fitzgibbon argue with regard to Islam. Hence, “the government is not the first port of call,” though it remains “the ultimate guarantor of rights.” But they also claim that in campaigns for socio-religious reform by scholars and feminist networks, “Muslim societies have remained relevant, beneficial and adaptive to these changes.” Yet the gap between the former and the latter on a range of issues is enormous. Majorities across the Muslim world hold highly conservative views about the shari’a; large numbers believe, against massive scholarly evidence to the contrary, that it is divine law. This stance bolsters the cultures of patriarchy in rural and urban settings alike. It makes extraordinarily hard the work of reformers like Abdullahi An-Na’im, Zainah Anwar, Abdolkarim Soroush, Mohsen Kadivar, Tariq Ramadan, Riffat Hassan, and Muhammad Shahrur. Even the mildly ambitious reformism of Cairo’s Al-Azhar runs into a popular preference for traditionalist preachers. Generations of poor religious and secular education is not a legacy easily undone. A key obstacle is the prevalence of traditionalism under cover of fidelity to the shari’a — which in its essence is an ethical framework. The drawing out of legal principles (fiqh) from the shari’a was a venture stirred with pragmatism and assorted cultural practices. Yes, having laws was obviously a benefit for public order and private security; but having “religious” laws that many saw as sacred also meant that social change could easily be impeded. Recourse to ethical tools such as maslaha (public benefit) helped navigate back to the shari’a’s higher principles (maqasid), which were about safeguarding basic human values. “There is no religion for one who has no intellect,” affirmed the Prophet’s closest companion, Ali ibn Abi Talib (d. 661); moral reasoning is what bridges faith and the world. To insist as Aminu-Kano, Ali, and Fitzgibbon do that the shari’a amounts to Islamic law as “a complete system” is to steal its ethical thunder and reduce it to a drizzle of legal rules. It is the ethical voice that offers a supporting theology for women’s equality, minority rights within and outside the Muslim umma, and solidarity with humans at large. Leila Ahmed showed this in her magisterial account of the conflictual gender narrative in Islam. The embrace of a legalist traditionalism above ethics is sure to fall short of modern aspirations for dignity to which Muslims are no exception. Yet this trend has taken hold for complex reasons — among which is the perpetuation of self-interest by religious and political establishments. Narrow identities and civic goals are the result, with an upsurge in deadly sectarianism from Nigeria to Iraq, Syria, Pakistan and Afghanistan. Vatican II (1962-5) radically shifted Catholic political theology and brought it into direct conversation with public culture, just as James H. Cone and the civil rights movement came to refashion Protestant theology. Major shifts too are required from rigid Sunni and Shi’a Muslim orthodoxies. It may well be in the diaspora that the tectonic plates move first, given the relatively greater civic as well as religious space available to reformers. But nothing less will do than a retrieval of what a pluralist umma was about at its foundation. And it will require a symbiosis of civic, state and religious actors (with a healthy mutual skepticism) to pull it off.